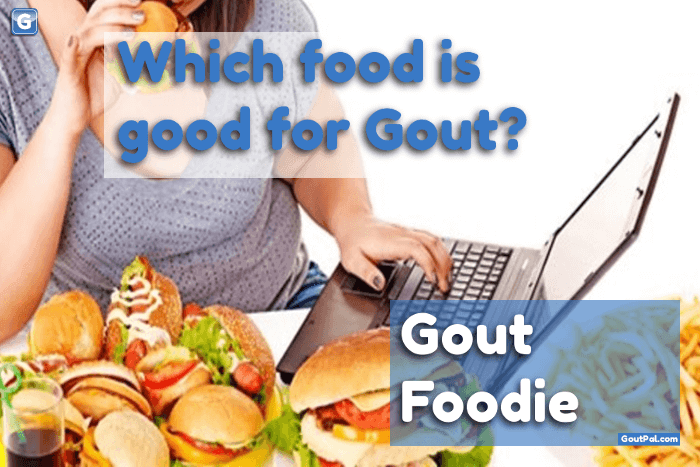 Do you want to solve gout problems with food? Then, GoutPal Plan for Gout Foodies is for you. Because it is a 7 step plan to eat the right foods for gout. Specifically, it gives you a logical approach to the best food choices for your gout. 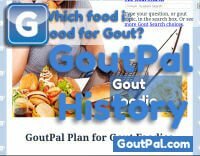 I wrote GoutPal Plan for Gout Foodies for gout sufferers who are obsessed by food and want to lower uric acid. 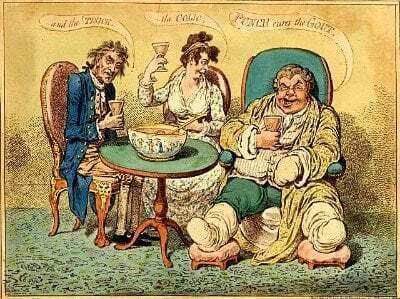 So, do you know which type of gout sufferer you are? Because, if not, you should read Questions for Gout Sufferers before you read this page. Remember, most GoutPal Plans are concerned with different aspects of lowering uric acid. Also, Gout Foodies are focused on food. But, you also know that you have to lower uric acid to control gout. So if you are not interested in uric acid control, you should move to GoutPal Plan for Gout Victims. What do you want to achieve? Make this as personal as you can. It might be playing with your grandkids in the park. Or, do you want to enjoy a family celebration? Because the more personal it is to you, the easier it is to stay motivated. So, if you want to start a plan today, tell me your personal gout goals in the forums. 2. Gout Foodies Plan Objectives. 3. Your Gout Foodies Undertaking. If you are determined to start using food to control your gout, you must create a healthy foundation. You cannot create a good gout diet on a foundation of bad eating habits. I can help you improve your eating habits to start controlling gout. First, you must undertake to follow a healthy eating plan. Select Mediterranean, vegetarian, alkaline, or some other healthy eating style. If you’re not sure where to start, ask in the gout forums. You should share what you currently eat, and how you would like to change. 4. Tests for Gout Foodies. Now is a good time to start your Personal Gout Diary. Keep records of weight, BMI, and exercise, as well as your uric acid blood test results. Particularly useful for Gout Foodies is the EFSEP test. See the EFSEP test for Gout Foodies. 5. Personal Gout Foodie Plans. 2. Tell me the eating style you chose, and some personal details, including favorite foods, and foods you don’t like. Then, I’ll give you a healthy eating plan. If your uric acid isn’t under control, do you want to continue as a Gout Foodie, or try a different group? If you want to keep trying, we go back to the Plans, or Undertaking. Then, we Assess where we can improve them. If your gout is under control, it’s time to enjoy the rest of your life. Please consider helping other sufferers in the gout forums. Your experiences can encourage struggling gout sufferers to control their gout. You can also get more help by reading Forum for Gout Foodies. If you want casual help with your Gout Foodie plan, just ask in the gout forums. You can ask about any aspect of your gout, at any time. To read the document revision history, click the GoutPal History image on the right.